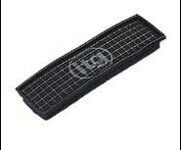 ITG air box induction kit. In Car Shot of ITG Induction kit. The package enhances the flow of air through to the engine, thus increasing power - the kit also ensures your engine gets cold dense air - not warm air from the engine. A sophisticated computer modelled design has ensured that turbulence is eliminated to ensure a steady, fast, dense flow of air. The original K&N 57i induction kit. 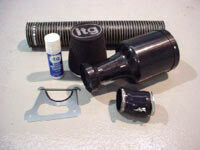 The kit replaces your existing airbox system with an open cone. 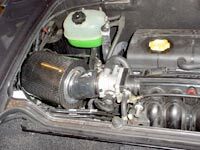 The result is a cone filter that can flow much more air than a standard filter, and allows the engine to rev more freely, delivering more power in the upper rev range. 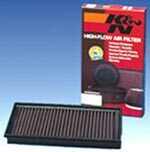 The K&N replacement panel filter for the Lotus Elise is a simple drop in replacement for the standard item. It flows better, gives better power, sounds better and lasts longer. It also comes with the famous K&N million mile guarantee. Pipercross air induction kits have a uniquely designed air filter inlet, manufactured from a spun aluminum base, which incorporates a full radius air inlet bell mouth, allowing air to smoothly pass into the engine inlet, so maximining the engines power output. have developed a replacement panel filter for the Elise. 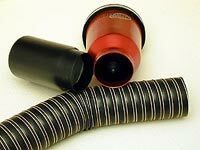 It simply replaces the existing filter in the standard airbox. The filter has much better flow characteristics than the standard a paper based item, and helps the engine breathe easier and will develop more power across the range.